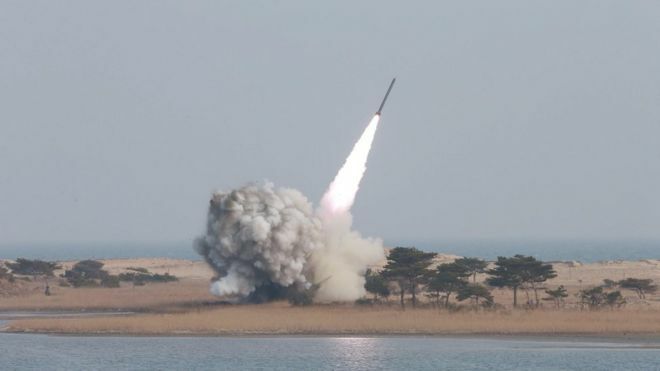 Seoul, Nov 29: North Korea fired an unidentified ballistic missile on Wednesday, South Korean news agency Yonhap reported citing military officials. "The missile flew eastward and the South Korean military is analyzing details with the US," Fox News reported citing Yonhap. There have been signs that indicated Kim Jong Un regime was planning a missile launch in recent days. Japan's Kyodo News reported on Monday that Japanese government detected radio signals that indicated a possible missile test in the near future. North Korea last fired a missile on September 15 that flew over Japan's Hokkaido Island before splashing into the Pacific ocean.